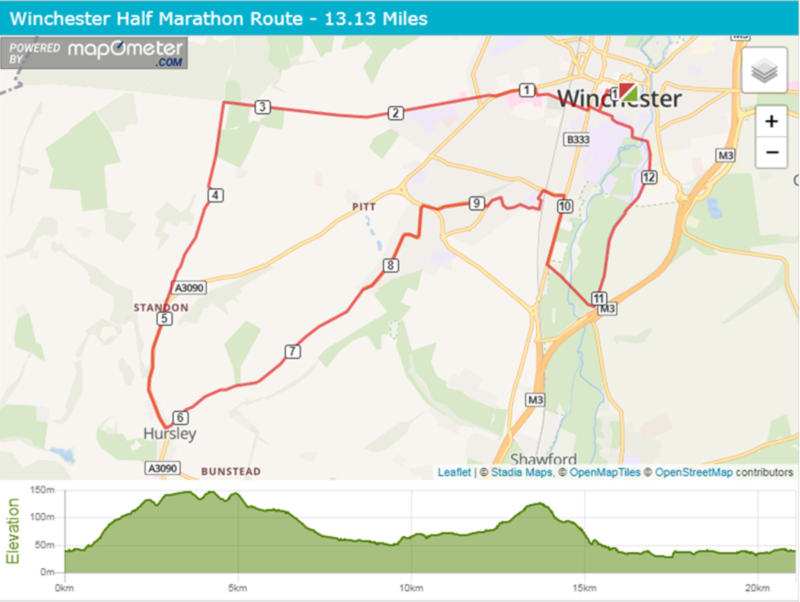 A fantastic half marathon in and around the city of Winchester - enjoy a scenic run starting in the very heart of this beautiful City, and following a route through its idyllic countryside. The main event is followed by a children's 1k fun run. This is a day for everyone to get involved, from experienced athletes, to first time runners, charities, corporate teams, and volunteers. Fun Run T-Shirt & Medals too! The Winchester Fun Run is open to all ages from 2 to 102 years old and this year we are excited to announce Utilita are going to be our official Fun Run partners! Walk, jog, run, fancy dress or with the whole family the Fun Run is a great race through the city centre of Winchester. The Fun Run aims to encourage everyone to join in with the event no matter your fitness level or experience. Start your running journey and maybe next year you'll be doing the Half Marathon! The race starts at 2pm. Please note that children aged under 8 years of age must be accompanied by a paying adult running with the child. At just under a kilometre long, (~880m long), this distance is perfect for those with children or those starting their running journey. Winchester Cathedral has kindly allowed us access to parts of their grounds not usually accessible by the public - so this is an exciting part of the route! Please note that this fun run route is multi terrain as the route through the Cathedral grounds is on grass which is fairly soft. It'll be a great experience for young runners as the route starts and finishes under the same gantry as the adult half marathon runners! Race packs for the Fun Run will be able to be picked up from the Winchester Guildhall on the race weekend (Sat 21st Sept from the Courtyard room 11am-1pm; or Sun 22nd Sept from the Bapsy Hall from 8am onwards). PLEASE NOTE THAT CHILDREN AGED UNDER 8 YEARS OF AGE MUST BE ACCOMPANIED BY A PAYING ADULT RUNNING WITH THE CHILD.